Bihar Chief Minister Nitish Kumar on Tuesday asserted that the state government neither compromises with corruption, nor it will do with communalism. The Bihar Chief Minister made this remark after an elderly man was allegedly murdered in Darbhanga, over naming a square on Prime Minister Narendra Modi. “We don’t compromise with corruption in the same way we will never compromise with communalism. I cannot stand it. I don’t worry about votes. My commitment is towards people whether they belong to any caste or religion,” Nitish said, while addressing a gathering at “‘Yuvaon ki Bhumika’ programme. He even spurned the reports of murder due to naming the square after Prime Minister Modi and termed the incident of giving statements without any investigation as incorrect. “In Darbhanga, there was a murder due to a land dispute. Someone started saying that murder happened because they made a chowk after Prime Minister Narendra Modi. I asked DGP, he said no this murder was due to a land dispute,” Nitish said. “Want to request that if someone gives a statement without investigation, then it should not be published. If someone goes and gives statements there whether he is of any party, it is wrong,” he added. Earlier on March 17, the Bihar Police confirmed that the murder of BJP leader Tej Narayan’s father in Darbhanga district was a case of old land dispute and has no connection with the naming of chowk. The police further stated that there is no tension in the village. The victim was allegedly killed in a dispute over naming a chowk after Prime Minister Narendra Modi. Narayan, who is a BJP chief from Behala Panchayat, alleged that some bike-borne assailants beheaded his father near Sadar Police Station area. 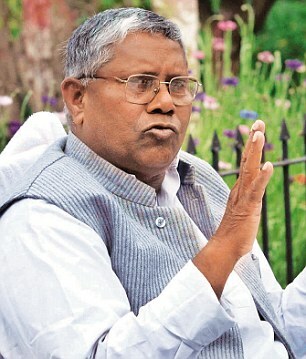 Bihar Deputy Chief Minister Sushil Kumar Modi also termed the incident a case of land dispute.